Two weeks ago I posted a family photography session from a beautiful autumn morning in Seoul Forest. It reminded me of another pre-wedding photography session I’d done a couple of years back. 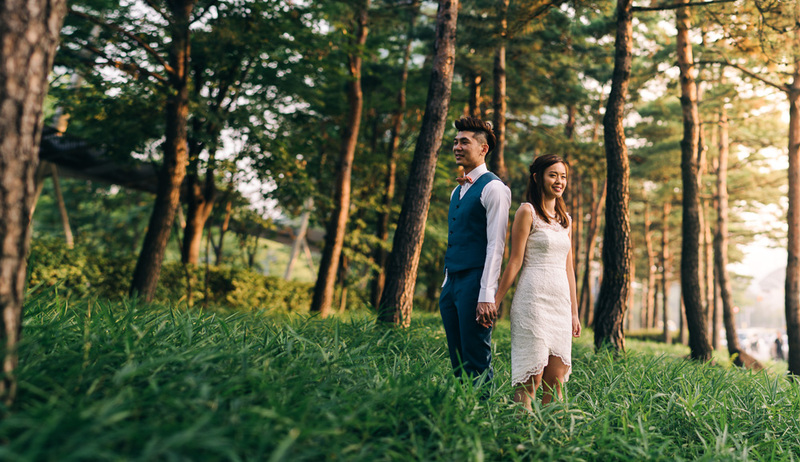 So, today we’ll head back to Seoul Forest with Jaz and Jun for an early morning couple shoot. It’s hard not to love Seoul Forest in the early morning. Although it’s surrounded by buildings and major roads, in the early morning it can be quite peaceful and a great respite from the city. 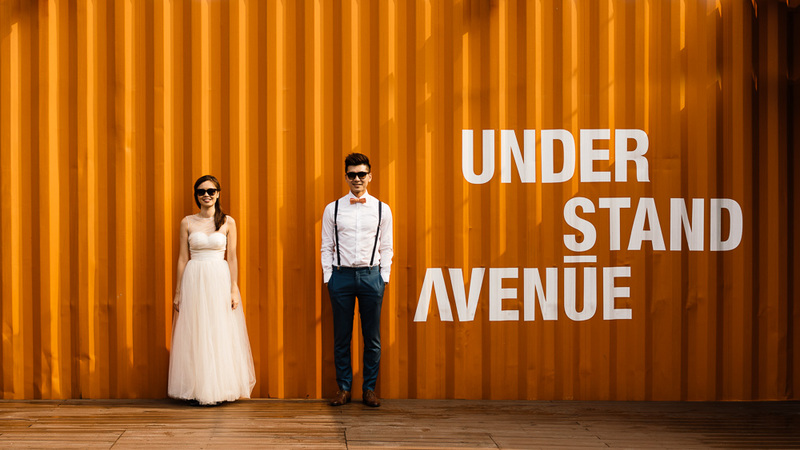 Jaz and Jun had heard about a small container installation called Under Stand Avenue. 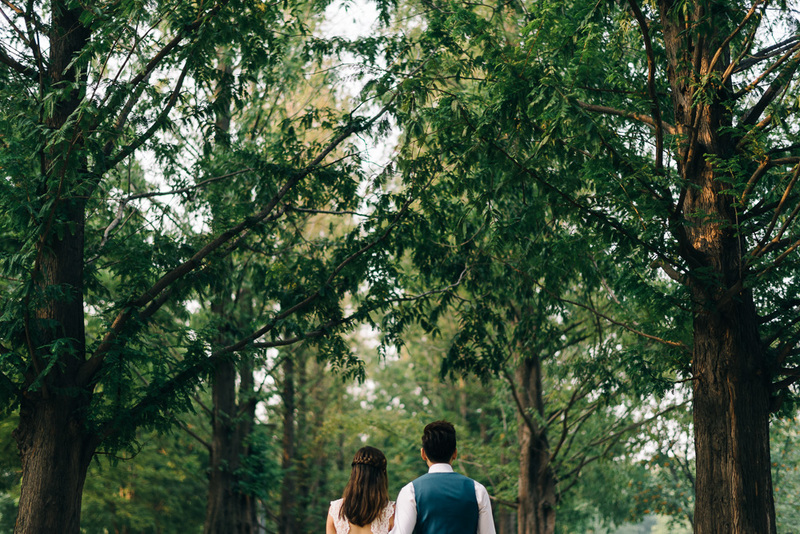 They wanted to pair it with Seoul Forest as the location for their pre-wedding photography session in Seoul. We picked a weekday morning so we could avoid the crowds and met up very early to make the best of the light. September and October can be really beautiful months in Seoul Forest when the light is right. Thankfully, on this day the light was gorgeous. We had Seoul’s typical pollution covering the sky, which gave us a warm glow in the air. 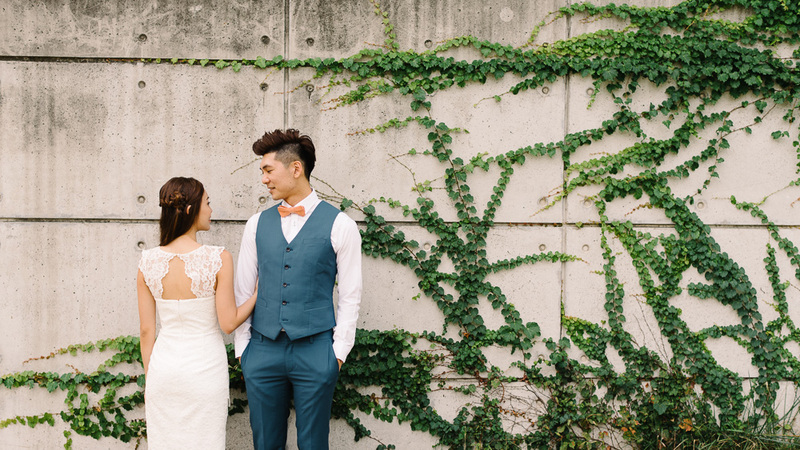 That, coupled with the surrounding buildings, gave a soft light to work with for most of our session. 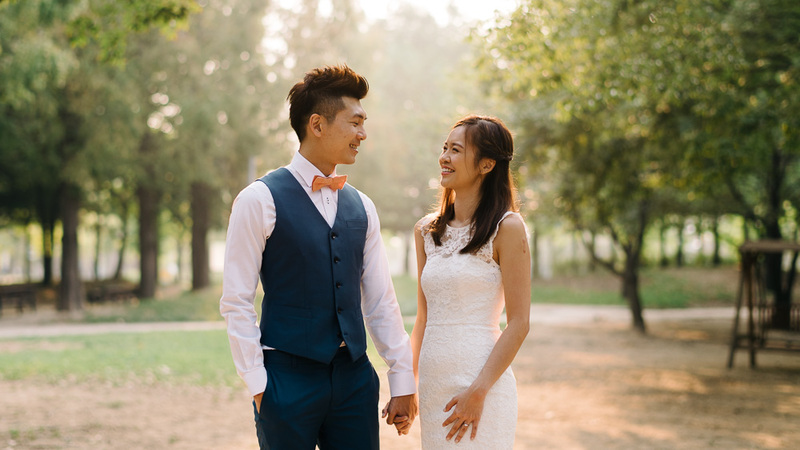 The couple’s simple, yet classic, outfits worked so well in the park. So, we kept our frames simple and focussed on them. 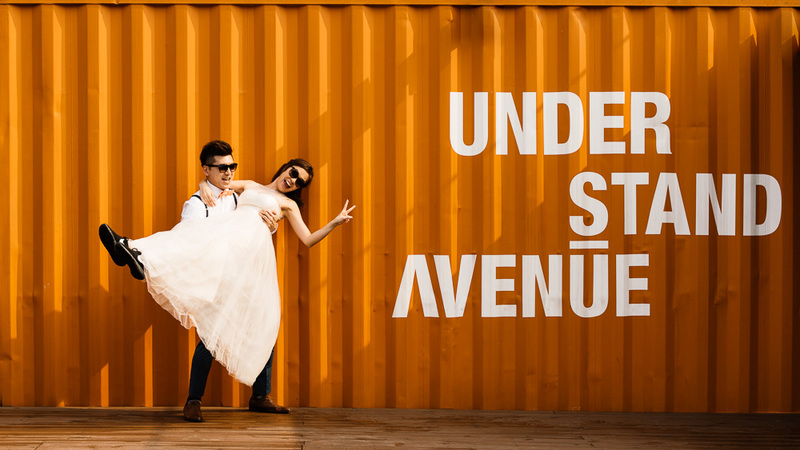 Understand Avenue is a little more of a funky location, so we played to the bold colours with our posing and got a little more playful and geometric. This is a great location and if you can get there before the stores open, you’ll have no problems making use of it for some fun images. 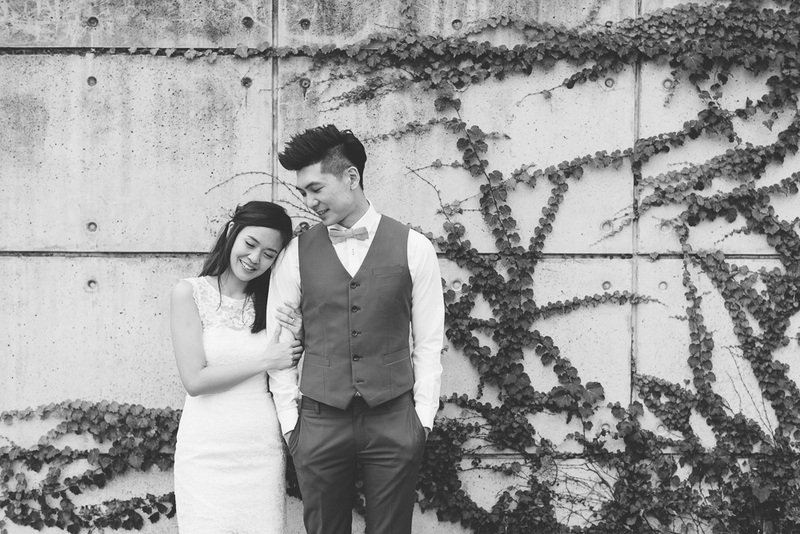 Thanks again to my couple for a fun session, and thank you for stopping by to read about it. 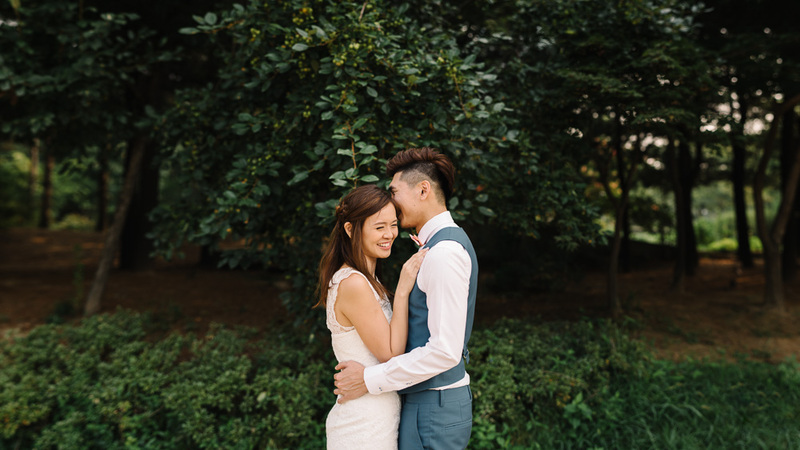 Please get in touch to enquire about your own couple session in Seoul or elsewhere in Korea. Don’t forget to follow me on Instagram and like my Facebook page for more!